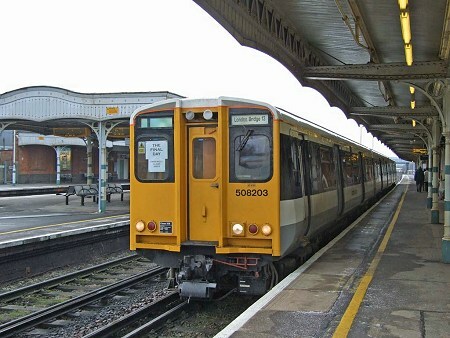 Having reversed at Tonbridge, 203 is working up to London Bridge, calling here at Purley. 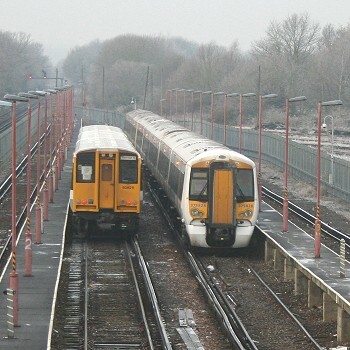 211 in Jubilee Sidings, Tonbridge West, with 375828. Having been up to London Bridge and back to Tunbridge Wells, 207 is again leaving Tonbridge for London Bridge. 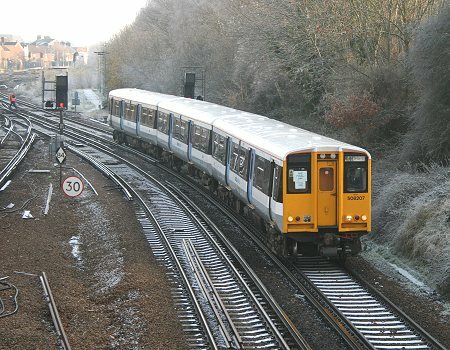 This is the 11.24 departure from Tunbridge Wells. 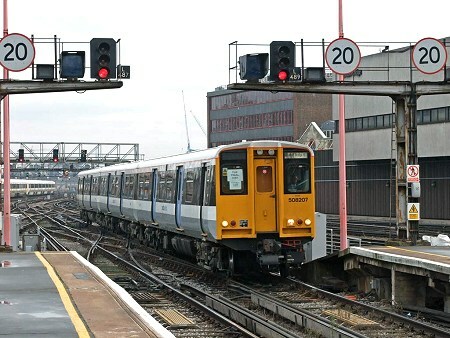 ...and here is 207 arriving at London Bridge sixty three minutes later! 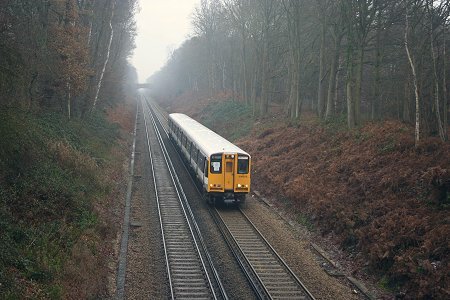 Two minutes later and 203 with the 12.24 departure from Tunbridge Wells is on its way to London Bridge, pictured here about to pass under Cinder Lane Bridge between Leigh and Penshurst. The murk is beginning to set in!